Collects Captain America and the Mighty Avengers (2014) #8-9, Loki: Agent of Asgard #14-17, Magneto (2014) #18-21, Black Widow (2014) #19-20, Ms. Marvel (2014) #16-19, The Punisher (2014) #19-20, Silver Surfer (2014) #13-15, Ant-Man: Last Days #1, Silk (2015A) #7, Spider-Woman (2014) #10. 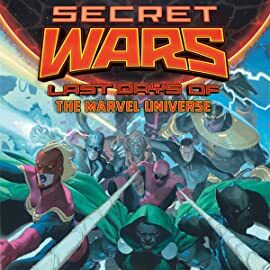 Before SECRET WARS arrives, everything must end! 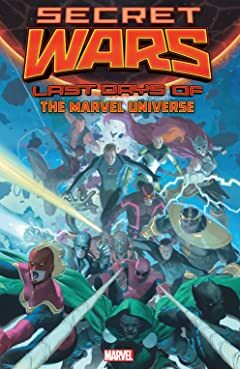 In the final hours of the Marvel Universe, everyone is a Mighty Avenger! Facing Ragnarok, King Loki makes his move! Magneto, once Earth's enemy, fights to be its savior! Black Widow meets her fate still seeking redemption! On the brink of disaster, Ms. Marvel meets Captain Marvel! Punisher goes out with a bang! Silk seeks her family before the sky falls! Ant-Man dances with destiny! And Spider-Woman gets pulled back in! But when the entire universe is extinguished, what's next for the Silver Surfer?